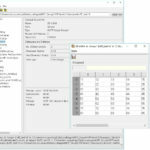 HDFView software consists of the HDFView utility and the Java HDF Object Package. 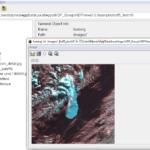 HDFView uses the Java HDF Object Package, which implements HDF4 and HDF5 data objects in an object-oriented form. This release was built and tested with HDF5-1.10.5, HDF 4.2.14, and Open JDK 11. Available at the HDF Support Portal HDFView and Java Object Package Support page. Windows ONLY: HDFView was built with VS 2015, and it requires that the Visual C++ Redistributable Packages be installed on your machine. If you cannot access HDF5 files then you do not have these packages. You can obtain them HERE. For further details see the section on installing from source on the HDFView and Java Object Package Support page. 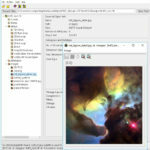 Source is available from the HDFView Source Portal page. Visit the Support Portal for previous releases.